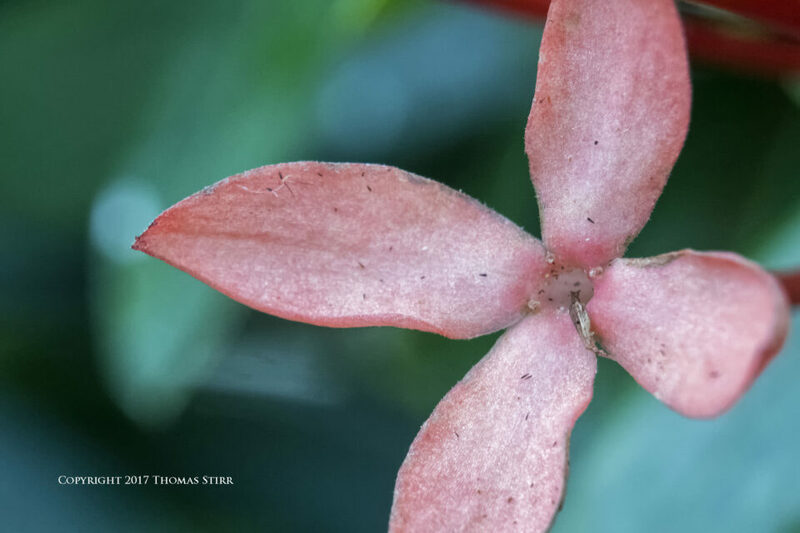 Many photographers enjoy exploring the world around them with macro and close-up photography. The basic difference between these similar genres of photography is the amount of magnification achieved, with a 1:1 magnification generally accepted as an example of macro photography. Images at this level of magnification also have more details than are achieved with close-up photography. The camera gear used for macro photography can be quite specialized and costly which can be a barrier for many photographers. 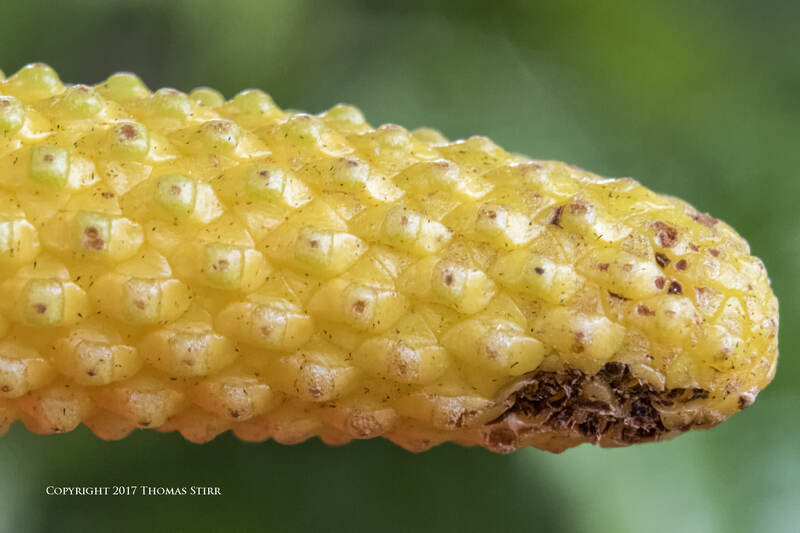 This article features a small selection of close-up photography images all of which were shot hand-held in available light using a set-up that cost about $875 CDN including camera body, lens and extension tubes. 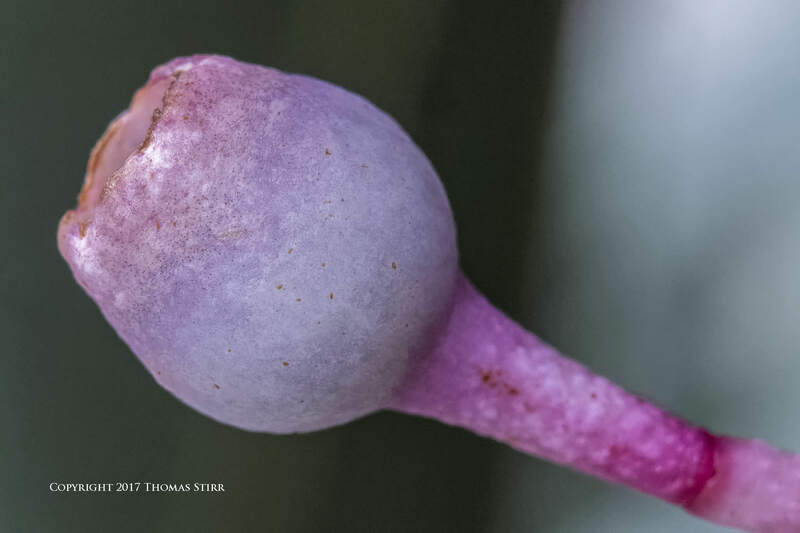 The purpose of this article is certainly not to suggest that a set-up in this price range and with a small sensor can match the image quality of a full-blown macro photography set-up…it can’t. Hopefully what this article will demonstrate is that it is possible to have a lot of fun creating pleasing close-up images with a modest investment in equipment. First, let’s have a look at the gear that I used to capture the images in this short article: Nikon 1 J5, 1 Nikon 30-110mm f/3.8-5.6 VR zoom lens, 21mm and 16mm MOVO extension tubes for Nikon 1. I love using this gear set-up for close-up photography as it is small, light and easy to handle. 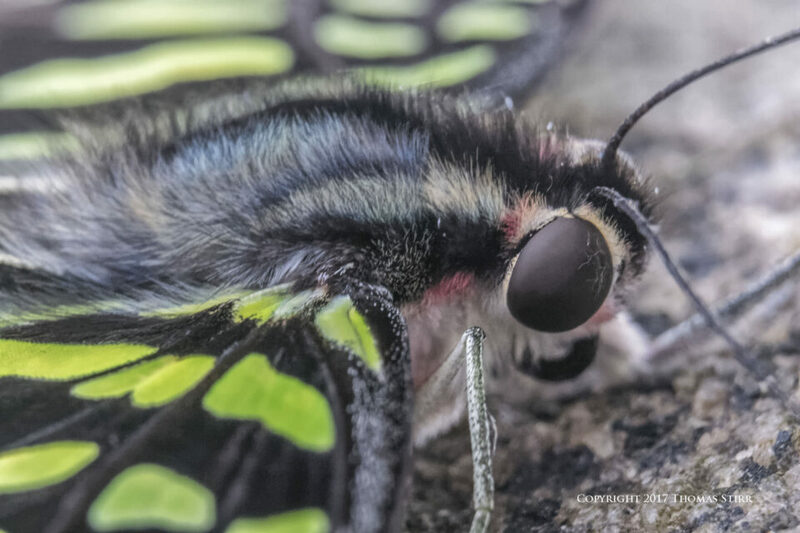 The flip screen on the J5 comes in very handy, especially when shooting down on subjects with the camera raised over my head – the second butterfly image in this article is an example. I went to the Niagara Butterfly Conservatory for a few hours with the original intent of testing a new B+W NL-5 Close Up Lens that I recently purchased. While it is still early in my assessment I quickly discovered that I don’t really like using a close-up lens, so I switched to extension tubes to capture the images presented here. Since many photographers who engage in close-up photography enjoy capturing images of plants and insects this article features a small selection of each. You’ll notice in the EXIF data that I captured all of the images in this article using an aperture of f/8 at ISO-3200. I decided to risk some potential image softening from diffraction shooting at f/8 with my small sensor Nikon 1 J5 in order to get some additional depth-of-field. My choice of ISO was made to help ensure reasonable shutter speeds as to avoid potential image blur when shooting hand-held. In most cases I used shutter speeds of at least 1/100th of a second, although you will notice a few images captured at shutter speeds slower than that – some as slow as 1/30. Since I shoot in RAW I never hesitate at all to capture images with my Nikon 1 gear using a camera setting of ISO-3200 as I can deal with potential noise in post. All of the images presented in this article are full frames as captured without any cropping. I wanted to demonstrate the amount of detail that can be achieved with an inexpensive gear set-up as well as provide examples of hand-held image framing using a non-EVF camera. A tip when framing a close-up photography image is to choose subjects and shooting angles that will incorporate smoother, less busy backgrounds. It can also be helpful to look for subjects that have some direct light on them with shadows in the background. Offsetting your subject to one side can also add some visual interest rather than always having your subject positioned in centre frame. These composition approaches can help accentuate the subject in your photograph, and add a touch of drama. I used single point auto-focus for all of the images in this article. My Nikon 1 J5 allows me to place a single focusing point virtually anywhere on the rear screen. I find this to be extremely helpful for close-up photography as it eliminates the need to focus and recompose an image when shooting hand-held. I’ve always found using ‘focus and recompose’ technique distracting. 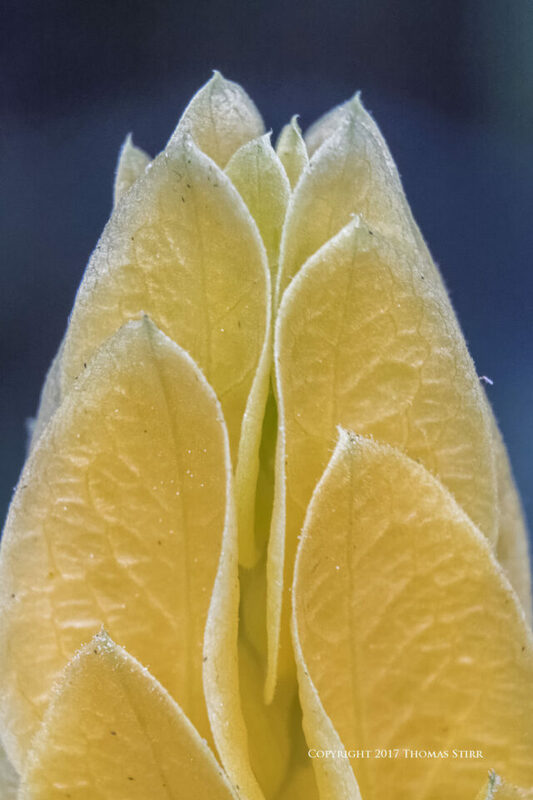 There is a trade off when extension tubes are used in terms of a loss of light. On the positive side extension tubes do not have any glass elements in them that could negatively affect image quality which, for example, is often the case with tele-converters. Macro lenses are specifically designed for their purpose and will provide photographers with better overall image quality and detail than when using extension tubes with lenses not specifically designed for macro photography. 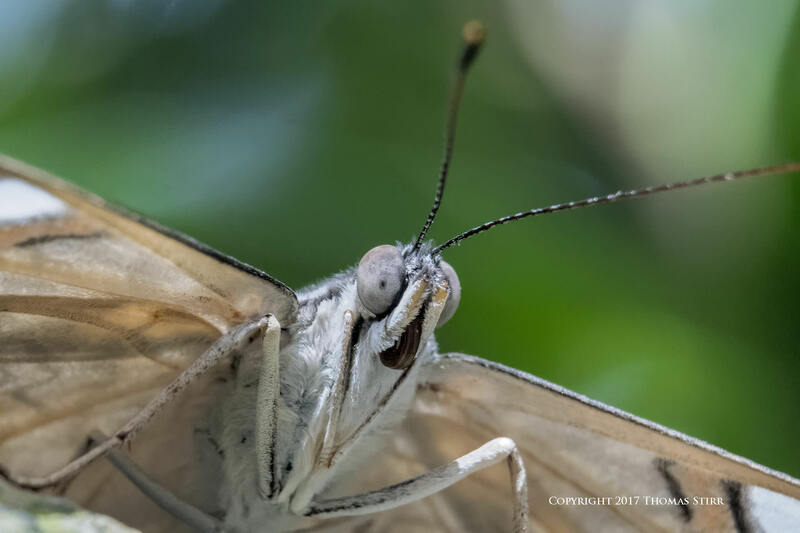 Having said that, a decent amount of detail can be captured when using an inexpensive set-up with extension tubes as you can see with the debris on the butterfly’s right eye in the image above. 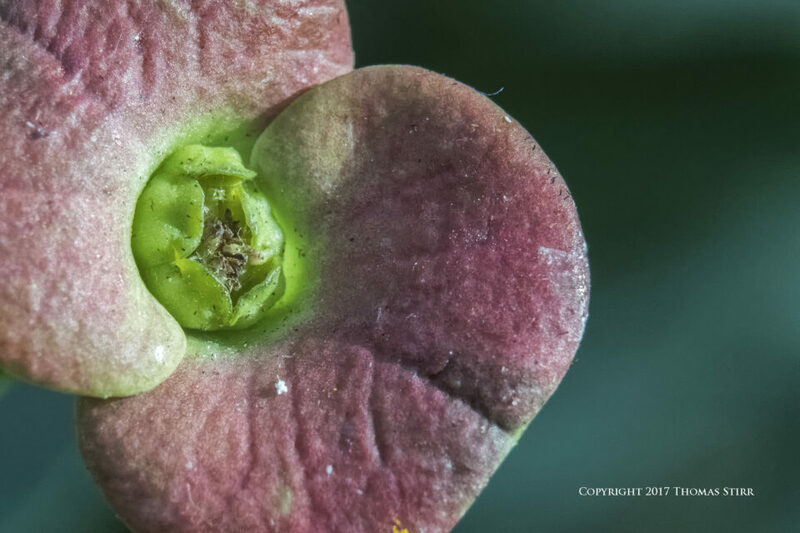 Accepting this image quality limitation, one can still have a very enjoyable time creating pleasing close-up images using a minimum of photography gear as demonstrated in this article. I love to go out with my Nikon 1 J5 set-up and shoot close-up photography subjects as it is an excellent photography practice exercise. I find that this style of photography heightens my awareness of unique lighting situations. It also allows me to pick out small details when scanning an area and see potential compositions in my mind much faster. This helps to reduce the time that it takes me to actually frame and capture an image. Practicing to work quickly and efficiently is a benefit for my industrial client work. I much prefer capturing these types of images hand-held as I find using a tripod is far too restrictive for my rather fluid shooting style. To try to achieve as much of the subject in-focus as possible it is advisable to use a shooting angle that puts as much of the subject parallel to your camera’s sensor as seen with the butterfly image above. 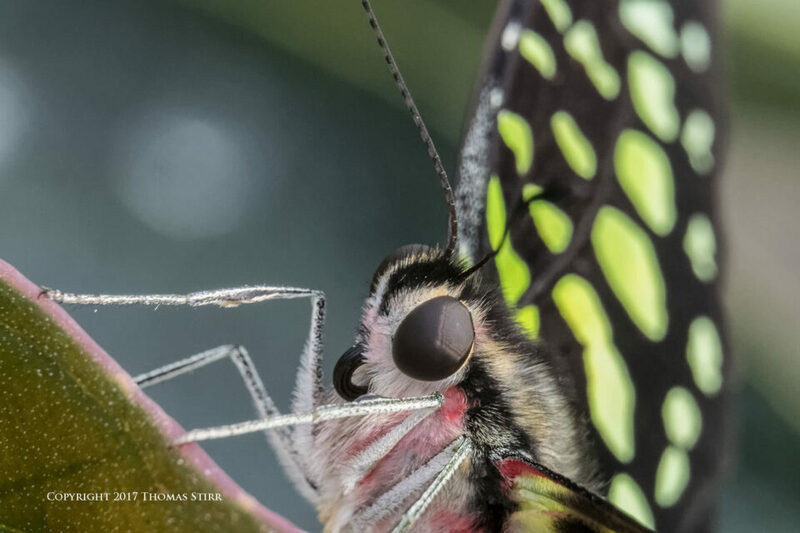 I purposely captured this image shooting upwards toward the butterfly, rather than head-on, so I could get its head and more of its legs and body in focus. Knowing your gear is an important factor in achieving decent results, as is your hand-holding technique. My Nikon 1 J5 does not have an EVF. This is not any kind of an impediment for me to capture close-up images as I always compose from the rear-screen of a camera when doing this type of photography. 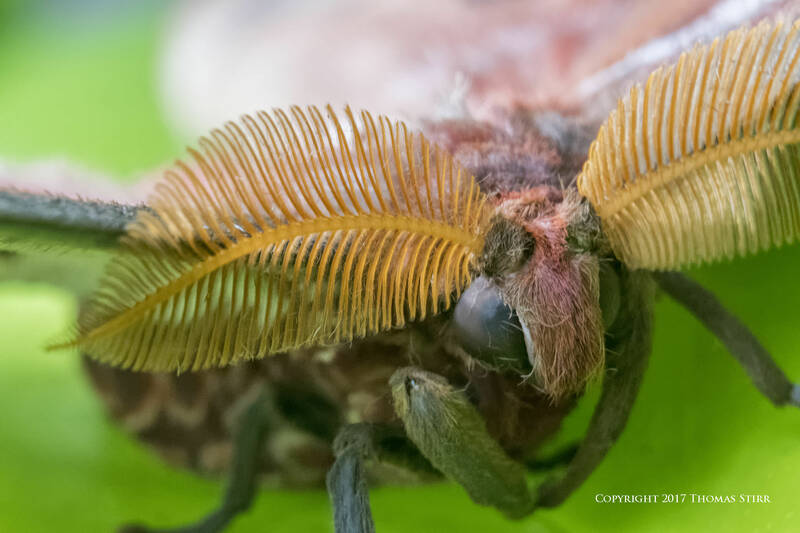 The photograph above of an Atlas Moth was one of my favourite images captured during the 2 1/2 hours I spent at the Niagara Butterfly Conservatory creating images for this article. All images in this article were produced from RAW files using my standard process of DxO OpticsPro 11, CS6 and Nik Suite. Article and all images are Copyright 2017 Thomas Stirr. All rights reserved. No use, adaptation or reproduction of any kind including electronic or digital is allowed without written permission. Photography Life is the only approved user of this article. If you see it reproduced anywhere else it is an in-authorized and illegal use. Calling out individuals who steal intellectual property by having Photography Life readers posting comments on offending websites is always appreciated! Thanks for this article Thomas. I think it’s fair to say that here you have demonstrated “that it is possible to have a lot of fun creating pleasing close-up images with a modest investment in equipment” … however, with only the small additional expense of a cheap manual flashgun and some creative homemade diffusion (a Pringles can comes to mind! ), significant improvements over an available light set-up are available because 1) the extra light allows use of the camera’s base ISO with it’s lower noise and improved colour rendition, 2) the short flash duration virtually eliminates motion blur and thereby enhances sharpness and 3) subject to diffraction limitations, the extra light allows smaller apertures for increased depth of field. Thanks for adding your suggestions to the discussion! I’m sure readers will appreciate the additional perspectives. Whether someone wants to add more gear for this type of close-up photography will depend on their interest, budget and shooting style. When I had full frame gear and shot with a D800 I had the Nikkor 105mm f/2.8 VR and hardly ever used it. I just found the gear to be too large and heavy for this type of photography for it to be an enjoyable pastime. I certainly agree that using some lights, reflectors etc. would improve image quality. That of course assumes that one has the time and space to use this additional gear. I don’t shoot in controlled indoor settings and usually find myself holding my Nikon 1 J5 at very strange angles in order to capture my shots, for example over my head and shooting down at subjects. By the time I tried to set up reflectors etc. my butterfly subject would be long gone! No doubt many people enjoy setting up their flashes and other gear in order to maximize their image quality when shooting close-up and macro images, and more power to them for having the skill and patience required to accomplish that! I much prefer a free-wheeling approach with my little Nikon 1 gear and absolutely love to ‘shoot in the moment’. Obviously image quality suffers but I’m more than willing to accept that trade-off for the freedom and spur-of-the-moment inspiration provided by my Nikon 1 kit. As is often said, we’re all different! Thomas are have taken some amazing photos with your setup! I wish one day be able to hold a camera half as steady as you can. Lovely colors in the photos too. Thanks for sharing! 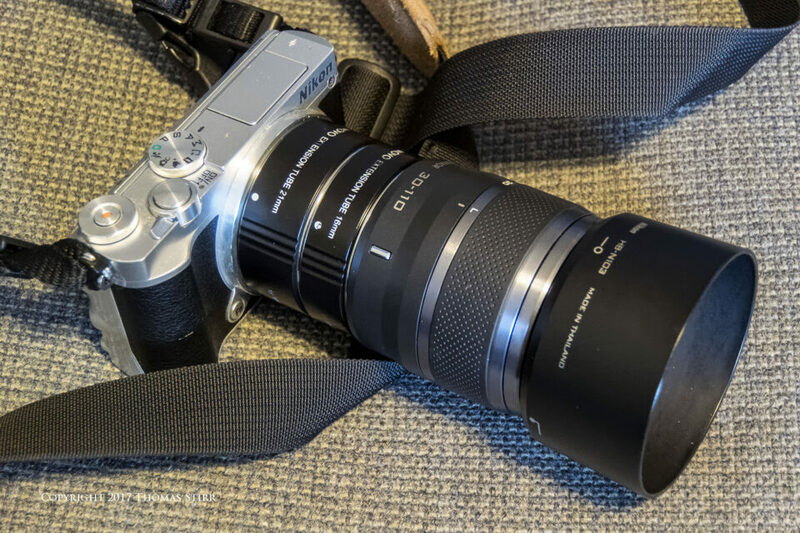 Did you use image stabilization? Yes, I had the vibration reduction on my Nikon 1 J5 set to ‘Normal’. This is timely, I was just researching how to effectively use my reversal ring and extension tube that came with an old Minolta MC 50mm macro, adapted to my Fuji X-e1. I went around and around with a few people trying to figure out how to focus with the lens reversed, I don’t think anyone in the group knew how reversal rings worked. I finally figured out the best method was to hand hold and use focus peaking… I also use the Fuji extention tubes on a few other lenses, my favorite right now being a Rokinon 85mm F1.4 mounted with both rings (totaling 26mm of extension). Really fun stuff, thanks for the interesting read! Thanks for sharing some of your experiences Mike! I have heard that equipment is only secondary, it’ the person behind the equipment that counts. Tom, you definitely prove it true. Thank you for your kind words Ming! I join your articles on Photography Life for about 2-3 years. Less gear, more fun, better picture.That is it. For me you are the master of the Nikon1-System. knowledge and build us a all brand new Nikon1 V5. I am humbled by your very generous comment Kurt. Thank you. Great photos with a solid explanation of how you work. I use my J5 with the 30-110 lens and a Canon 500D close-up lens(77mm size with an adapter ring. I am more comfortable with that than with extension tubes so far. When handheld I will often shoot 5fps to increase the chance of getting one good shot. When I have time, I will use a tripof and focus stach for shots like flowers. The touch screen allows for easy picking of multiple focus points for the different shots. I gues I need to spend some time with the extension tubes too because your work shows how it can be done. I just need practice, practice, practice. Keep up the good work and well written posts. Thanks for sharing some of your experiences using the Canon close-up lens and a faster frame rate. I still intend on doing some additional testing with my B+W close up lens and I will try shooting a few bursts to see what happens. The Raynox DCR-250 is quite a handy little accessory to keep in your bag for that extra bit of magnification.